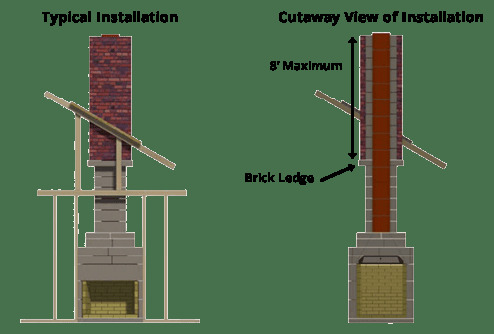 The Stone Age Manufacturing Brick Ledge for 36" Indoor Masonry Fireplace Chimneys is explicitly designed to simplify applying the finishing touches for a chimney. Installed between the standard New Age chimney sections, creating a support for the brick or other finishing materials, this ledge saves time, labor, and money on material costs. Let this gray, quality brick ledge help you get the desired look for your chimney!